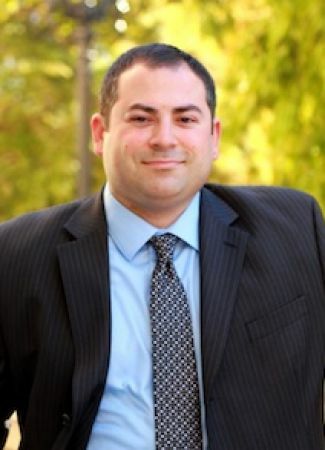 William J. D’Elia is a personal injury attorney with the Stein-Caron Law Group. Mr. D’Elia’s practice centers around the firm’s active litigation caseload, where he is responsible for researching complex legal issues, drafting and responding to pleadings and discovery, attending depositions, mediations and preparing cases for trial. Mr. D’Elia is a graduate of the Emory University School of Law in Atlanta, Georgia. While earning his Juris Doctorate degree, Mr. D’Elia was an active member of Emory’s Mock Trial Society and competed in several Mock Trial competitions across the United States. As a result of his contributions, he was honored with the Emory Mock Trial Society “Achievement in Trial Advocacy” Award. Mr. D’Elia also participated in Emory’s nationally recognized Trial Techniques program. To further improve his advocacy abilities outside of the courtroom, Mr. D’Elia became active in the Emory Law Alternative Dispute Resolution (ADR) Society, which focused on advocacy skills in the fields of negotiation, mediation, and arbitration. Mr. D’Elia competed in several ADR competitions throughout the South and also served on the ADR Society’s executive board. Upon graduation from Emory, Mr. D’Elia was inducted into the Order of Emory Advocates, an award granted for students who exhibited excellence and attained high honor through the art of advocacy and persuasion. During law school, Mr. D’Elia interned at Northeast New Jersey Legal Services, where he assisted in the representation of victims of fraud and illegal debt collection practices. Mr. D’Elia previously served as an intern to the Honorable Thomas P. Brown presiding in the Allegany County Supreme Court in New York State. Mr. D’Elia is a member of the American Bar Association and the Georgia Trial Lawyers Association, and is admitted to practice in the Georgia Supreme Court, Georgia Court of Appeals, all Georgia State and Superior Courts, as well as the U.S. District Court for the Northern District of Georgia. Those Steelhorse boys are the best lawyers in the world.